The 828-metre high facade of Burj Khalifa will this year feature an illuminated LED screen that projects a mesmerising show as the iconic building once again becomes the centre of world attention to welcome in the New Year. The show will complement the world’s most-awaited and most-watched fireworks spectacle that will mark the dawn of 2015 in unprecedented splendour. Downtown Dubai New Year’s Eve Gala, by global developer Emaar Properties, is set to be the grandest yet with a breath-taking six-part firework, laser and light show that sweeps through Downtown Dubai, while the LED screen wrapped around Burj Khalifa is billed to create one of the world’s brightest illuminations to date. The astounding spectacle will use the world’s most advanced pyrotechnics and LED illumination technology. The event will welcome tens of thousands of visitors for the live event and will be watched by billions globally through live satellite feeds. The visual display, a rich tribute to Dubai, its leadership, and the UAE’s 43 years of impressive achievements on the Burj Khalifa LED screen, will create a magical and unforgettable experience for spectators before and after the much-awaited countdown. The six-part display will highlight the innovative and dynamic architecture of the world’s tallest building with a never-before pyrotechnic design. 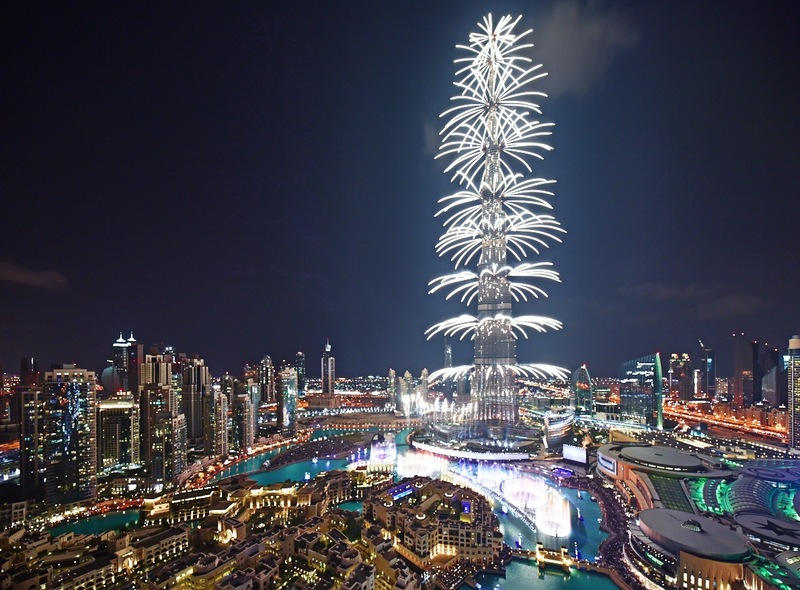 Ahmad Al Matrooshi, managing director of Emaar Properties, said: “The Downtown Dubai New Year’s Eve Gala has defined its credentials in a short span of time as the world’s most-watched New Year’s Eve spectacle surpassing the visitor turnout at celebrations in New York, Sydney and London. “This year, the celebrations will be grandest to date with an unprecedented array of fascinating pyrotechnics and the world’s first-of-its-kind LED illumination on Burj Khalifa. Gold and silver strobe light effects will illuminate the tower in the first act, which will be complemented by fireworks displays from across buildings in Downtown Dubai illuminating the Dubai sky in a wash of brilliance. The second act will dress Burj Khalifa in colourful rings and volcanic waves, lending the tower a rainbow effect with the displays scaling up and down the 828 metres high building. The third act creates a constellation of twinkling golden stars in a glitter of pink resembling a shower of stars over Downtown Dubai, while the next will feature a wave of cyclonic light effects enveloping the tower. The final two acts will be the crescendo, with quivering light sequins covering Burj Khalifa, before the final countdown begins for a never-before-seen spectacle. The highest manmade point on earth will become home to a million stars in this brilliant finale. Visitors to Downtown Dubai can watch the spectacle from various vantage points in Burj Park as well as Mohammed Bin Rashid Boulevard.